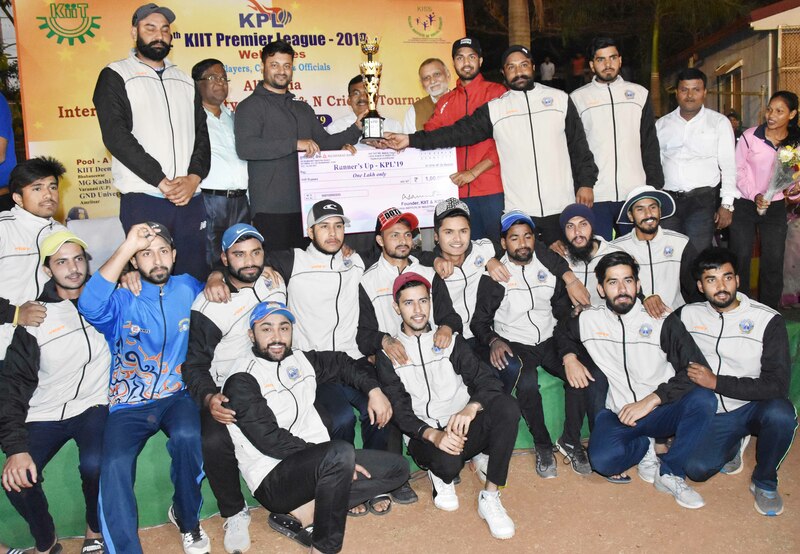 Bhubaneswar: The Al-Falah University, Faridabad won the 12th edition of KIIT Premier League (KPL) All India (D&N) T-20 Cricket Tournament defeating Amritsar based Guru Nanak Dev University (GNDU) by 67 runs here this evening. In the title clash, the Al-Falah University scored 216 runs for the loss of 3 wickets in 20 overs. While chasing the victory target of 2017, the GNDU managed to score only 149 runs losing 9 wickets in the stipulated overs. 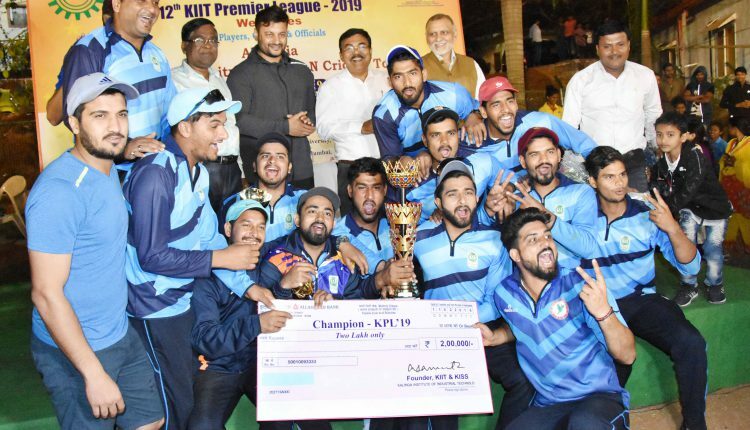 The winning team received the Champions trophy and cash prize of Rs 2 lakh from the guest of the occasion, Ollywood star and Rajyasabha MP Anubhav Mohanty. The runners up team bagged Rs 1 lakh cash prize with a trophy. The Jawaharlal Nehru Technological University (JNTU) clinched the 3rd position while the University of Mumbai was settled for the 4th position. Both the universities received cash prize of Rs 50,000 and 25,000 respectively. Anubhab Ahuja and Akash Antil, both from AL – Falah University, were adjudged as man of the final match and man of the series respectively. They received cash prize of Rs 6000 and Rs 7000 respectively. 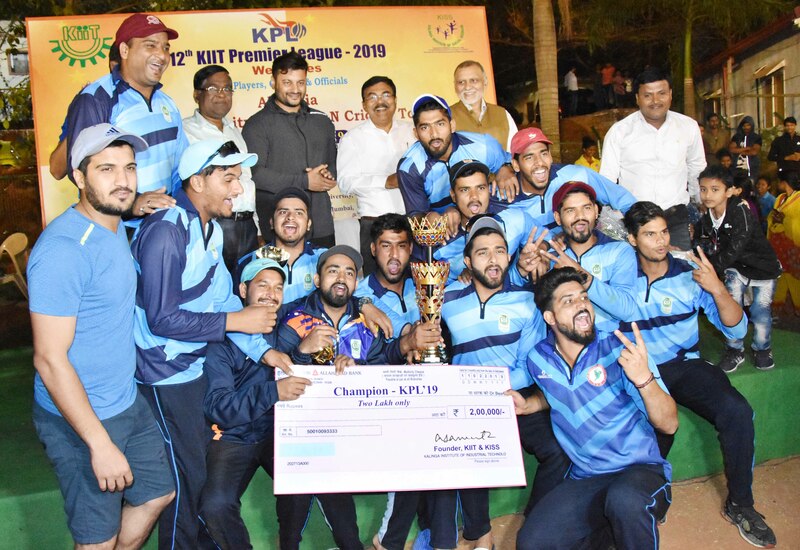 Abhirath Reddy of JNTU was adjudged as the best batsman of the tournament, while Faizan Alam of AL -Falah university as the best bowler, M Prasant of KIIT Deemed University as the best fielder, Rudra Dhanday of the University of Mumbai as the best wicket keeper. They received Rs 6000 cash prize each. Arup Pattnaik, Executive Chairperson of State Youth Welfare Board, Odisha and Dr. Bishnu Prasad Panigrahi, CEO, KIMS graced the occasion as guests and distributed the prizes. Among others Dr. Gaganendu Dash, Director, Sports, KIIT and Prof. Jayanta Parida, Director, Quality Assurance cell, KIIT were also present. On February 5, the T-20 tournament was inaugurated by Dr Achyuta Samanta, Founder, KIIT & KISS in presence of BCCI Selectors Banta Singh, MS Kumar, Jaikumar Sinha, Abinash Kumar and Lalit Patel here at the KIIT stadium. As many as 12 Universities from across the country participated in the tournament.